The United States of America was: " The Great Political Experiment "; but [ exactly ] whose experiment was it? | America In Prophecy America In Prophecy: The United States of America was: " The Great Political Experiment "; but [ exactly ] whose experiment was it? The United States of America was: " The Great Political Experiment "; but [ exactly ] whose experiment was it? 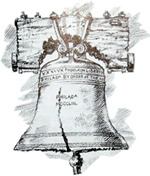 A sketch of The Liberty Bell. As many historians have noted, The United States of America was indeed: " The Great Experiment Of All Time ". But, whose experiment was it, really? Was it the product of: Europe's Imperialist Nations, The Freemasons Who Assisted In Building It, The Immigrants Searching For Religious Freedom, or [ even ] Yahweh Himself? To whom do we owe The True Credit... and why, is it [ now ] coming completely unravelled? These are All Excellent Questions, to which The Scriptures themselves can give us The True Answers... because, America can be found, in The Biblical Prophecies! While there are many who would clearly argue otherwise, their knowledge of The Prophetical Scriptures isn't nearly as strong as their own human credentials so boldly and often proclaim. In fact, many of them are merely: " Evil Shepherds, False Prophets, and Empty Oracles " - as Yahweh Himself has so clearly proclaimed them! Remember, you were warned by Yahshua, that: " Ravenous Wolves " - were already among you... do you think, that He [ Yahweh-Himself ] was lying?
" 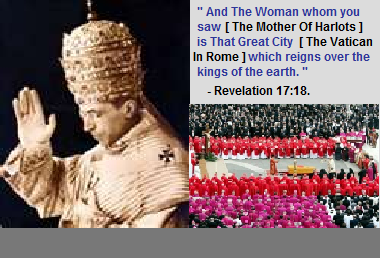 The Mother Of Harlots " - as spoken of by The Prophet John, in The Book Of Revelation - fully controls All Of Her Own Daughters; and A Whole Lot Of Other Entirely Different Religions [ aka: " All Of The Abominations Of The Earth " ], as well.... Thus, she has a very great and vested interest in keeping you spiritually ignorant to all of her ongoing activities! Wouldn't, you, say so? Of course, she does.... But, on to the subject at hand. The Great American Experiment was Yahweh's Own Doing; and I'm going to prove it entirely from The Scriptures themselves. In The Book Of Isaiah, we read about: " The Latter Day Descendants Of Tyre " - who were re-established, as a nation, in far away land from their original homeland; which was originally just north of Israel. They were settled there, amidst four other desert nations [ or tribes ] known as: Edom [ The Edomites ], Moab [ The Moabites ], Ammon [ The Ammonites ], and Israel [ The Israelites ] and just as before they are collectively referred to as: " The Canaanites " - since they all came from The Land Of Canaan: " The Promised Land. " Consequently, this ' New Land [ which we call North America ] ' has been referred to by All Of The Prophets as: " The Latter Day Wilderness Of Canaan. " " Behold [ This Is Very Important ], The Land Of The Chaldeans [ The United States of America - Created By The Decree Of Rome ], This People which was not [ Until Others Brought Them Together ]; Assyria [ The Aryan People ] founded it for Wild Beasts Of The Desert [ The Five Nations Of Canaan ], They [ The Aryan People ] set up Its Towers [ Founded Its Cities ], They [ The Aryan People ] raised up Its Palaces [ Controlled All Of Its Governments ], And They [ The Aryan People ] Brought It To Ruin [ Just As Babylon Commanded Them To ]. Wail [ Cry Out Mightily ], you ships of Tarshish [ You Great Merchants Of The Ocean ]! 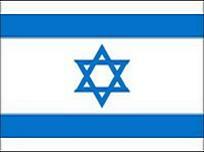 For your strength [ That Great Nation Of Consumers ] is laid waste [ By Those Very Same Aryans ]. " - Isaiah 23:13-14. The European Union - is Babylon Restored. You see, The Vatican In Rome directly and indirectly controls [ virtually ] All Of The Earth's Human Governments; through a very large network of: Interlocked Brotherhoods, Covert Organizations, and Secret Societies... and The Freemasons are, merely, one of them! Meanwhile, The United States of America was artificially created to serve her very own nefarious purposes. She needed a very great nation, other than one in Europe, to serve as her own: " False Prophet ", or " Political Harlot "; and The Latter Day Descendants Of Tyre - like their previous ancestors - would do absolutely anything for money! If you don't believe me, then read of their own ancestors exploits in Joel Chapter 3. Because [ Here It Comes ] you have taken My Silver [ My Own Ten Tribes Of Israel ] and My Gold [ The Whole House Of Judah ], And have carried into Your Temples [ Those Churches To The Ba'alim ] My Prized Possessions [ The Children Whom I Love ]. Also The People Of Judah [ The Jews ] and The People Of Jerusalem [ The Ten Tribes Of Israel ] You have sold [ Into Physical Slavery ] to The Greeks, That you may remove them far from their borders [ Where I, Myself, Have Placed Them ]. " - Joel 3:4-6. 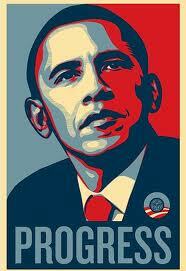 Barack Obama - Last Prince Of Tyre. So, why did The Vatican In Rome need: " A False Prophet "? 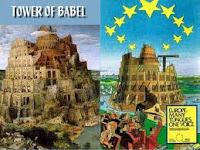 Because, if she [ herself ], or the nations that she controls, tried to take over the entire planet, then she would be far too readily-identifiable as: " The Mother Of Harlots "; And Her European Union as the resurrected nation of: " Babylon The Great ". Whereas, those morally upright Americans - as perceived from their better behaved past - could do what she herself couldn't! That's why The Scriptures truly declare: " The Latter Day Descendants Of Tyre " - to be: " A Nation Of Harlots ", and: " A People, Who Lack Any True Understanding ". But, what inspired The Chaldeans [ The Papal See In Rome ] to send so many: True Believers and Genetic Descendants Of Israel - to found one solitary nation - when, she was sorely needing people to populate: " The Wilderness Of Canaan [ In The New World ] "? Didn't that, seem potentially dangerous to her own plans? Of course, it was! But, what choice did she have? Those Spiritually-Minded Believers were already threatening her agenda, while living in Europe... and they were, quite easily convinced to move elsewhere. So, she did what she had to - in order to [ effectively ] carry out Her Eventual Plans.
" As I live, says Yahweh The Mighty One, surely with a mighty hand, with an outstretched arm, and with fury poured out, I will rule over you [ O, You Ten Tribes Of Israel ]. I will bring you out from the peoples [ The Aryans With Whom I Have Scattered You ] and gather you out of the countries [ All Over Europe ] where you are scattered, with a mighty hand, with an outstretched arm, and with fury poured out [ The Protestant Reformation ]. And I will bring you into The Wilderness Of The Peoples [ A Place Where It Is Very Lightly Settled ], and there [ In This New World ] I will plead My case with you face to face [ When You Are Spiritually Ready For Me To Do So ]. Just as I pleaded My case with your fathers in The Wilderness Of The Land Of Egypt [ The Sinai Peninsula ], so I will plead My case with you [ In The Wilderness Of Canaan ], says Yahweh The Mighty One. I will purge The Rebels [ The Rebellious Ones ] from among you, and those who transgress against Me [ I Shall Utterly Destroy Them ]; I will bring them out of the country [ The Nation Where They Are Then Living ], but they [ These Double-Minded Ones ] shall not enter The Land Of Israel [ For They Shall Be Weeded Out In The Wilderness ]. Then you [ O Israel ] will know [ Beyond All Possibility Of Doubt ] that I am [ Indeed ] The Mighty One [ Who Also Brought You Out Of Egypt ]. " - Ezekiel 20:33-38. You see, brothers and sisters, I told you that I could prove exactly whose ' Great Experiment ' this was; and I did... It was Yahweh's! It was He who utilized His Own Enemies to do His Very Own Bidding! While The Mother Of Harlots and Babylon The Great were plotting against Him, He utilized their very own actions to accomplish His Tasks. 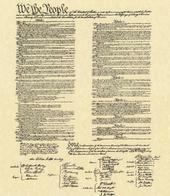 Moreover, The American Experiment was never intended - by Babylon The Great and Her Masonic Conspirators [ then, known as, The Federalists ] - to produce that magnificent document called: " The United States Constitution ". In fact, they envisioned ' A Centralized Bureaucratic Government ' exactly as it is today; but it took them a couple hundred years to actually achieve it, thanks to that glorious document - which was provided by the inspiration of Yahweh Himself. In Amos Chapter 1, we can about This Fantastic Document, known as: " His Covenant Of Brotherhood " - between The Five Nations Living Within Canaan. For Three Transgressions Of Tyre, and For Four [ Including Their Conspiracy With Edom ], I will not turn away its punishment [ They Will Definitely Go Through It ], Because they have delivered up The Whole Captivity [ All Of My Little Ones Living Within Tyre ] To Edom [ To Put Into Those FEMA Death Camps ], And did not remember ' The Covenant Of Brotherhood [ Which I, Myself, Gave To Them ] '. 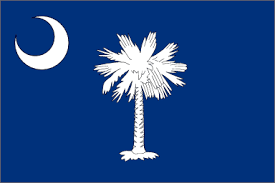 But I will send A Fire [ A Great Conflagration ] upon The Wall Of Tyre [ The Fortress Of New England ], Which shall devour Its Palaces [ Its Magnificent Homes ]. " - Amos 1:9-10. Considering ' The Very Real Track Record ' of The Past Biblical Prophecies, I wouldn't live in New England, if it were the very last place upon earth - for two very good reasons! For one thing, I'm ' A True Believer '; and I have no intentions towards becoming a martyr... and for another, I couldn't even imagine the total inhumanity of those who would sell out their very own brothers and sisters to yet another NAZI-esque Holocaust! But hey, whatever floats your own boat.... I'm only The Watchman, but the decision is yours.
" Son of man, I am sending you to The Children Of Israel, to a rebellious nation that has [ Even ] rebelled against Me; they and their fathers have transgressed against Me [ Continually ] to this very day [ And Absolutely Nothing Has Changed ]. As for them [ These Unyielding Ones ], whether they hear [ By Actively Listening ] or whether they refuse [ By Foolishly Trusting In Others ] - For They Are A Rebellious House - Yet they will know [ After My Own Words Come To Pass ] that a prophet has been among them [ For I Keep All Of My Words ]. And you, son of man [ The Mighty One's Own Watchman ], do not be afraid of them [ For I Am Your Protection ] nor be afraid of their words [ For Their Own Words Are Meaningless ] though briers and thorns are with you [ And Many Shall Undoubtedly Prick You ] and you dwell among scorpions [ But Their Sting Is Not Deadly ]; do not be afraid of their words or dismayed by their looks, Though They Are A Rebellious House [ For I, Myself, Will Watch Over You ]. You shall speak My words to them [ Faithfully ] whether they hear or whether they refuse [ I Leave It Entirely Up To Them ], for they are rebellious [ It Is An Undeniable Fact ]. But you, son of man, Do not be rebellious like that rebellious house [ Obey Me And All Shall Be Well For You ]; open your mouth [ To Speak For Me ] and eat what I give you [ No Matter What It Is ]. " - Ezekiel 2: 3-8. Oh, yes, I am well aware that This Particular Message was spoken specifically to The Prophet Ezekiel. But, what of it? Just like Yahweh Himself has clearly stated, " Absolutely Nothing Has Changed "! Now, has it? Most of you, will simply ignore this message - like your own fathers before you... some of you, will send me hate-filled emails - like their fathers before them... and a few of you, will actively listen, because You are: " Yahweh's Own Spiritual Remnant " - who worship: " In Spirit And In Truth "!